The graduate, who had gone through the school’s coding boot camp in 2012, told Enbar he had landed a great job with a San Francisco company. But instead of living in California, the student had chosen to work remotely in Denver. 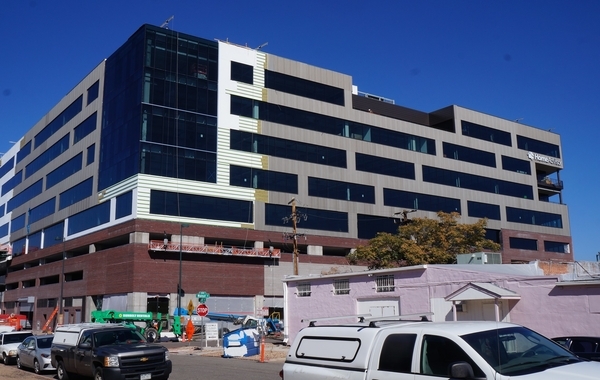 Denver is the ninth city where Flatiron is opening. 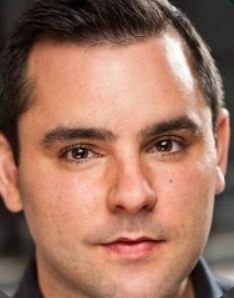 The school, which WeWork acquired in 2017, already has launched in Atlanta, Chicago, Houston, London, New York, Seattle, Brooklyn, New York and Washington, D.C.
Enbar, who lives in New York, said he always has been passionate about education. He taught first grade while going to college, and entrepreneurship at a prison near Boston, but became frustrated with the educational system after earning a Harvard MBA degree. So Enbar took an entry-level sales job at HubSpot before joining a venture capital firm. He eventually crossed paths with Flatiron’s future co-founder, Avi Flombaum. Flombaum, a college dropout, had worked his way into senior technology roles at two separate companies, and taught coding skills to friends on nights and weekends. When Enbar found out Flombaum’s students were landing good technical jobs, he decided to join forces with him. “We found a landlord that was willing to give us a six-month lease if we paid him in cash,” Enbar said. The pair took a Zipcar to Ikea to furnish the space in Boston. That was in 2012. In Denver, Flatiron school is opening in 4,000 square feet in The Hub at 3601 Walnut St. WeWork has a total of 45,000 square feet leased at the building, where other tenants include HomeAdvisor and spin studio Viv Cycle. Flatiron students pay $15,000 for 15-week courses in software engineering, design and data science. Flatiron joins other Denver coding schools, including Galvanize, General Assembly and the Turing School of Software. But it’s not the competition from these other schools that Enbar thinks is the most challenging thing about opening in Denver. Enbar said Flatiron typically has an eight-to-one student-to-teacher ratio. In addition to applying and interviewing, potential students must complete a technical project and review it with an instructor before being accepted. Compared to other coding schools, Enbar described Flatiron’s classroom environments as loud and social, with desks arranged in small pods. “Some people prefer a perfectly quiet environment that is separated from everybody, and there’s nothing wrong with that. But if that’s what you prefer, Flatiron is not the right place for you,” Enbar said. 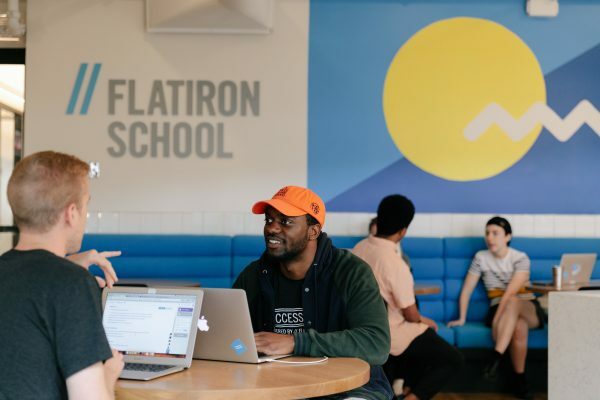 Flatiron, whose website boasts of a 99 percent job placement rate for its campus graduates, also offers full refunds for graduates who go through Flatiron’s career service program but don’t find jobs within six months, Enbar said. The school also makes data on his graduates’ salaries publicly available. “I know we’re the only school in the world that has independently audited data from CPAs for every graduate that’s ever been through our doors,” Enbar said.